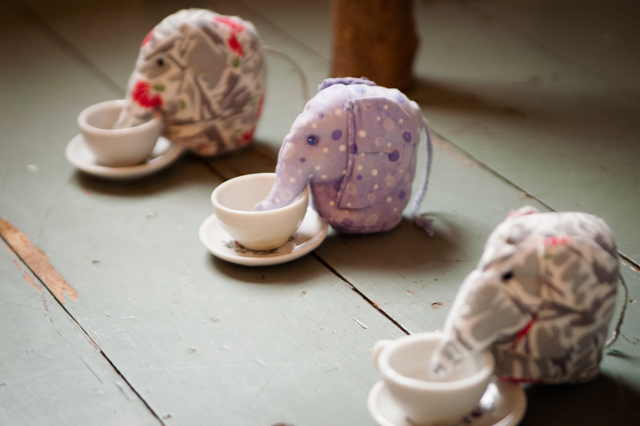 A troop of tiny elephants had a cocoa party behind the couch this afternoon. Wow, Daisy's been playing with them for eight years! So very cute. I would love to play. Not much else to say. It's a really nice photo, too.